Are there things or mannerisms of BB-8 that were your idea? Did you have any input in creating the character? BB-8’s character came from JJ and Lawrence Kasdan’s script. We had to find ways of making him play his part. Dave and I spent a couple of weeks with the puppets, working out what we could do with it. I’d done a screen test with an early version of BB-8 that Josh was pulling along on wheels and it had dawned on me then just how small he was. You had to crouch down to be next to him. It was like a toddler or a dog. I liked the idea of his personality being a cross between a tenacious child and a faithful Jack Russell. So, armed with the knowledge of the script, Dave and I set out to find his vocabulary of movement. What he looked good doing. What it couldn’t do so well. How to make him look happy, sad, scared etc. Could it do stairs (it turns out it could, but that’s another story entirely). You don’t tend to get a lot of rehearsal on set, so we had to know our jobs and be ready for whatever was thrown at us on the day. Dave and I have been working together for a while now and we share a sense of humour. Our timing is often the same and that makes it easier for us to sync our performance. We also worked on his ‘breathing’. When puppets stop moving they die. Although we were dealing with a droid I knew we had to give it characteristics that the audience could relate to. Star Wars has some of the most human machines in cinema and we knew BB-8 would have to stack up against C-3PO! Neal Scanlan wanted BB-8 to be constantly moving. He had suggested a ‘ball hover’, to try to make it look like he was always correcting himself so as not to fall over. I found that by pushing the rods with my hips and moving the axle rod slightly I could make the puppet cycle without actually going anywhere. The more excited or upset BB-8 gets the faster I do it. Can you tell something about the BB-8 puppet? For instance, what possibilities does the puppet have? 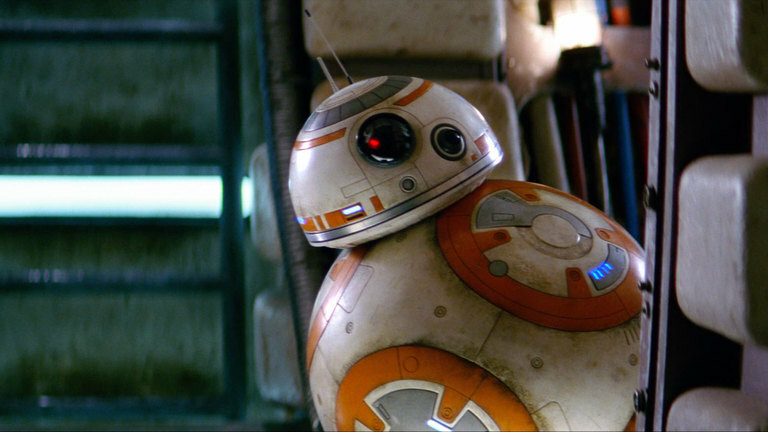 The puppet version of BB-8 is operated on a system of rods. I have control over the body movement and the head pitch and roll. Dave takes control of the yaw movement. Moving the head left and right to hit eye lines on camera. Together we have to make BB-8 hit his marks otherwise it looks really odd. Usually I would use a monitor, but because I’m running along behind the droid in a green suit there is nowhere to put one, so I have to rely on playback after the take or, more usually Dave, Neal and of course JJ to tell me if it looks OK.
With the rodded version I can get a lot of subtle movements from the character. Just by tensing my arms I can vibrate the handles and make his head shake. This gives the impression BB-8 is nervous or scared. I also do the voice for BB-8 on set. This really helps the actors relate to his as a character rather than a prop. The rodded version is also the quickest version we have. If they want BB-8 to run for his life, it’s me pushing him. I can go across sand, mud, down slopes and up hills. There’s a video on the internet of me in blue Lycra running up the middle of the set at Greenham Common. Blue Lycra is not a good look. What was the best moment you’ve had so far playing BB-8? We were in Abu Dhabi shooting the scene where Finn and Rey escape from the TIE Fighters. They needed a reference pass for BB-8 running through the sand for a CGI shot. Then JJ asked me how fast I could run? I’d spent a lot of time with a personal trainer for the film so I knew I would be in good shape for the job, so I replied I could keep up with John and Daisy. Then next thing I knew, they were setting up the shot of BB-8 running through the sand. Dave was strapped to the camera buggy and we were off. That shot turned out to be the very first footage anyone ever saw of BB-8 in the teaser. Most people assumed it was digital, but it was me running like mad in the hot desert sand. We also did many different versions of BB-8 peeping around the corner in the Millennium Falcon. I actually had a monitor for that and Roger Guyette, the second unit Director, was sitting in the cockpit with his monitor and he just kept laughing and getting us to do more. Fast ones, slow ones, the head leads, the body leads, just the head came out, only the eye. We must have done 20 different takes. I was so happy when that also made the trailer and became one of the brand new droid’s signature moves. I always enjoy hearing about strange or funny things that happened on the set. Could you share some great stories? Harrison Ford arrived at work for his first day on the Falcon set. I was standing in the cockpit corridor in my wonderful green nylon suit holding the droid’s rods and Han Solo walks up the ramp IN FULL COSTUME with his big hairy friend at his side. He looked me up and down and said “Who picked that look?” And then walked off! Not exactly how you would imagine or want the first meeting with your idol to go, but there it is. He turned out to be everything you hope he would be. Professional, funny, generous and gloriously grumpy (entirely for effect)! Along with Lee Towersey (who, with Oliver Steeples built and performed R2-D2 for TFA and latterly Rogue One), I drove the First Order Mouse Droids. On the first big shooting day on the Star Destroyer there were some 40 or more Stormtroopers and lots of other supporting artists dressed as Officers and Technicians. The Stormtroopers can’t see very well in those helmets and we had to weave the little remote control droids in and out of them and not get kicked across the set. I had already tripped the trooper escorting Oscar Isaac across the hangar, so I was on the back foot a little. In the afternoon, we shot the scene where Finn is marching Poe across the deck and they suddenly make a run for it. The Stormtroopers had changed their timing which meant my droid was late. I could see it was going to be a disaster and I was once again in Oscar’s way, but if I turned I would have hit something else. However, rather than stop he jumped over it and sprinted up the stairs to the fighter. That take is in the movie! Though not particularly funny, one day that really sticks in my mind was the day we shot the scene between BB-8, C-3PO and R2-D2. It was quite technical. I was very conscious about keeping out of Anthony Daniels’ way. He has little vision in that head and can hardly hear. I was doing BB-8’s dialogue live with a classic character and he was playing the scene and talking to and about R2. It suddenly struck me that it was like being invited to join in with Laurel & Hardy! Many of those moments were not lost on me. BB-8 is possibly the most popular character of the sequels and maybe even the most popular Star Wars droid overall, which is something you deserve credit for. What do you think the reason of his popularity is? Firstly, it’s important to note that I’m part of a very big team. There were so many people that brought BB-8 to the screen. From design, through engineering, animatronics, paint finishing, CGI and sound, BB-8 is every tool in the box. The design comes into play massively. The puppets themselves have been so well thought out and executed that they allow for a great deal of expression. Most of R2-D2’s acting is done in the sound edit, but BB-8 can be instantly expressive. As a puppeteer that’s a real gift and I get to sink my teeth into bringing him to life. It’s honestly a dream come true. I love performing BB-8. The secret of his success though? I think it’s lots of things. He’s very cute, small and feisty. He’s funny, he appeals to a wide audience and I think they’ve used him well within the story. Just enough to leave you wanting more. There are hundreds of BB-8 collectibles and toys. Which ones do you have and which one is your favorite? Mine is the LEGO fig and the Sphero! It seems like I’ve got all of them! It got a little out of hand for a while, but after massive counselling and help from my lady love I’ve reigned it in now. I really like the unique things. Whenever I go to a convention now I always go to Artist Alley and pick up the different artists impressions of him. I love the fact that really talented people take time to render him in so many different ways. It’s strange seeing so many products with BB-8 on. He was our secret for so long and now he belongs to the fans. You started doing conventions. What are your experiences meeting the fans and what was the funniest thing that happened at a con? I went along to Star Wars Celebration Europe in 2007. One of the crowd. Bought a ticket. Had a ball. I went back in 2016 on stage in front of 4,000 or so people. It was a very different experience. Since then I’ve been going along to conventions all over the world and I love it. Star Wars fans are awesome. As we make these movies it sometimes becomes just a job. Long hours in uncomfortable circumstances and it’s very easy to forget how much what we’re doing means to people. I’ve been given a very unique opportunity to be on the inside AND I get to go and speak to the people it means so much to and believe me, they are not afraid to tell me what they think! Good or bad. I try to take that enthusiasm back to Pinewood with me. The cosplayers are amazing too. Such talent and creativity. I had an entire family dressed as Rey show up to the table once. Mum, two daughters and Dad. Brilliant! There are also the BB-8 costumes. All shapes, sizes and styles. Each one with a slightly different twist. I once saw a little girl, she couldn’t have been more than 4, dressed as Rey and she was attacking a 6 foot guy dressed as Kylo Ren with her lightsaber. He was just humouring her and letting her get her strikes in. I’m assuming he was her Dad, but you never know at these things! There is even a guy who dresses as ME! Full green suit pushing a homemade BB-8! There was a guy from South America who presented me with an action figure of me in the green suit. He’d adapted the BB-8 to have rods and made a whole backing card and blister pack for it. Unfortunately he wanted it signed and I didn’t get to keep it. I tried to buy it but he was having none of it. I’ve been collecting signed movie posters and Star Wars memorabilia for years, so when someone brings me a Force Awakens poster that Mark, Harrison, Anthony or Carrie have already signed and they want my signature on it, I know that’s a big deal. I’m hugely flattered and I don’t take that for granted. In Rogue One you puppeteered SE-2. Which other droids and creatures did you puppeteer? Can you tell something about your work on this movie? I was a little less involved in Rogue One. Although there were creatures in the movie, they were mostly background players. Appearing briefly here and there with some notable exceptions like Raddus and Pao. The first thing I worked on was Bor Gullet. There was at least a dozen of us on that. I originally worked with Dave on the main tentacles, then towards the end of the shoot I ran the eyes. I also worked on a new version of 2-1B the medical droid that originally appeared in The Empire Strikes Back. He was in Saw Gerrera’s hide out. I don’t think he made the cut, but it’s in the visual directory. SE-2 was shot on location in Iceland. That was myself on the head and body, with Dave Chapman and Patrick Comerford on arms and Matt Denton on the animatronics. This was a bunraku (rod) puppet built by Pete Hawkins. We waited in the rain in that spectacular landscape for a couple of days for the weather, then shot the whole thing in two set ups and three takes! Then ILM removed us all from the shot as they do with me and BB-8. That was the second time I had performed the first droid in the film. As well as SE-2 I did various creature heads during the principal photography. Mon Calamari officers, Oolin Musters, Leevan Tenza and a few others. A lot of the stuff I shot was later superseded by the reshoots. Making Rogue One was a completely different process from The Force Awakens. Very much a hand-held, guerrilla style shoot which resulted in a totally different type of Star Wars movie. It was recently announced that Rian Johnson will develop a brand-new trilogy. How would you describe the way he handled The Last Jedi and what do you think of the decision to have him create a new trilogy? Rian is great. I was a fan of Looper but I didn’t really know what to expect. JJ was a tough act to follow, but Rian came in to an established cast and crew and led the way forward. He’s great fun, he enjoys a laugh but gets his shots. He has an amazing eye and he LOVES Star Wars. You could pass the monitors in video village while they were setting up a shot and it would look like a Star Wars movie. Epic. Even with no action. His take on The Last Jedi is familiar yet totally new. The fact that Lucasfilm and Disney have picked him to do three more movies speaks volumes for his work on The Last Jedi. I can’t wait to see what he’ll do with a blank canvas. My final question: next month is the release of The Last Jedi. 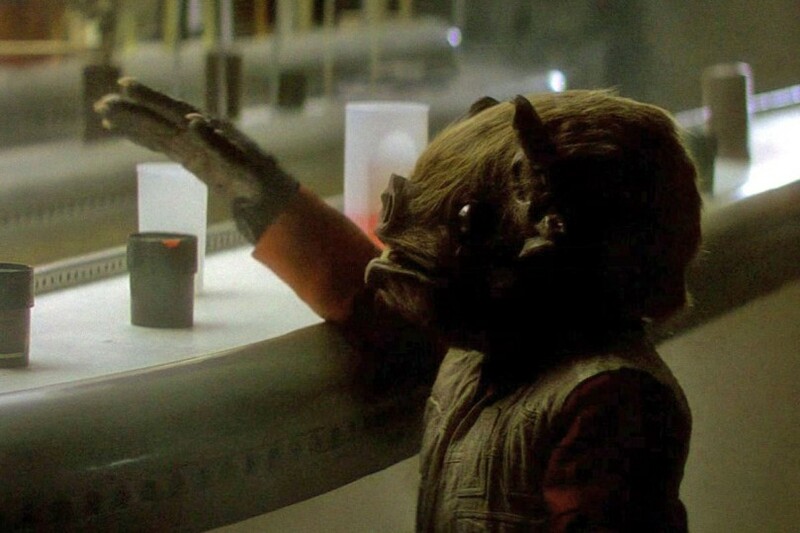 Will we see Brian Herring puppeteer droids or creatures in Solo, Episode IX and beyond? Well Solo has wrapped. Ron Howard tweeted a picture from the set that I was in, so that cat is out of the bag. I’m really looking forward to seeing it. The script is brilliant and I say that as a very fussy Star Wars fan. As far as the future is concerned, I’ll gladly stay ‘Up the Galaxy’ for as long as they’ll have me. 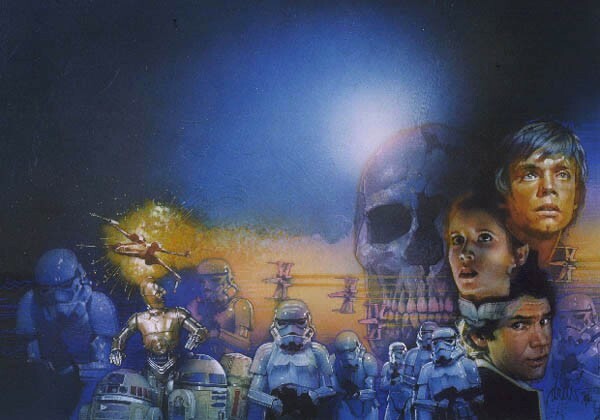 There are more movies coming, new worlds with many new alien characters and droids to discover. I hope to have a hand in as many of them as I can. I hope so too! Many thanks for your time! Wil je Brian volgen op social media? Dat kan!